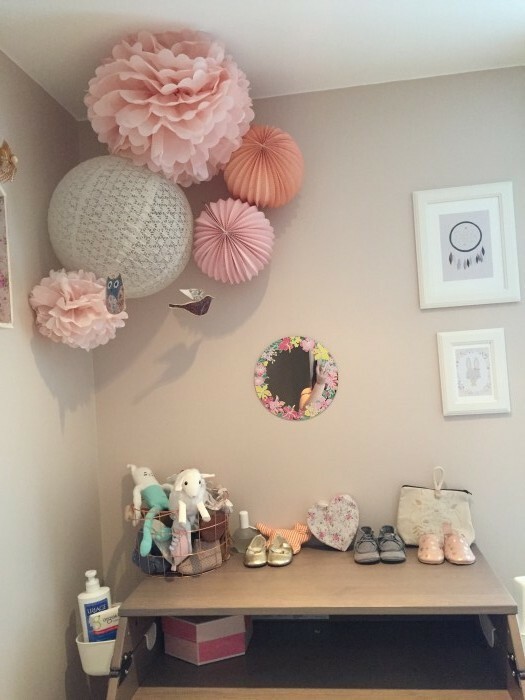 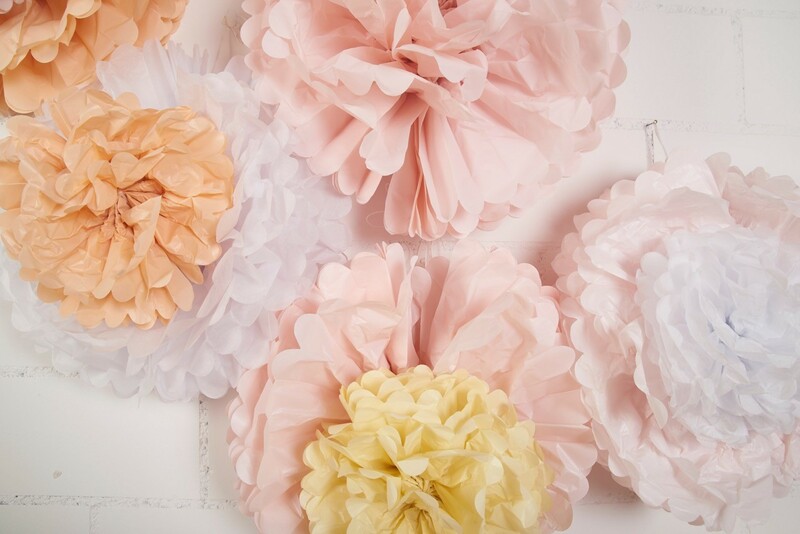 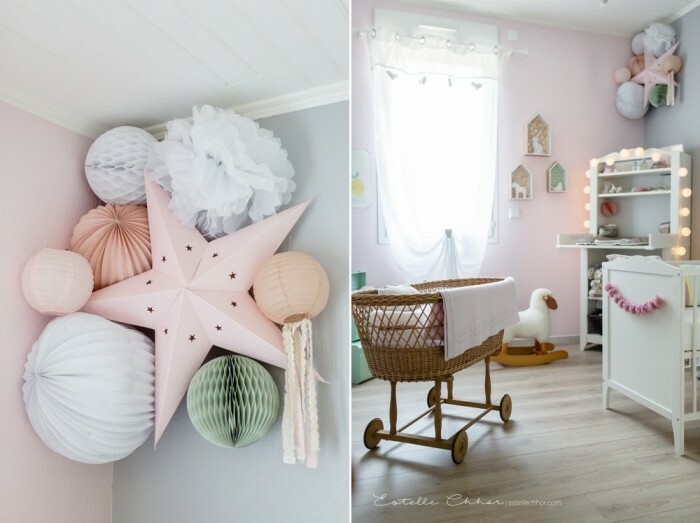 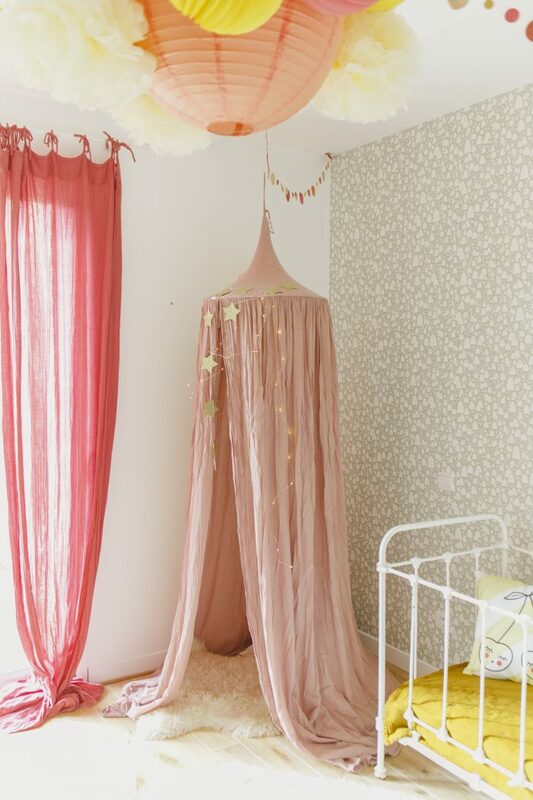 Gosh we are so inspired by this pretty nursery! 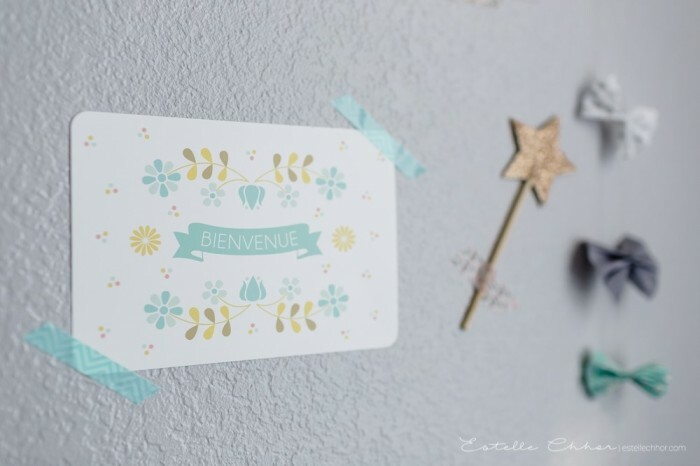 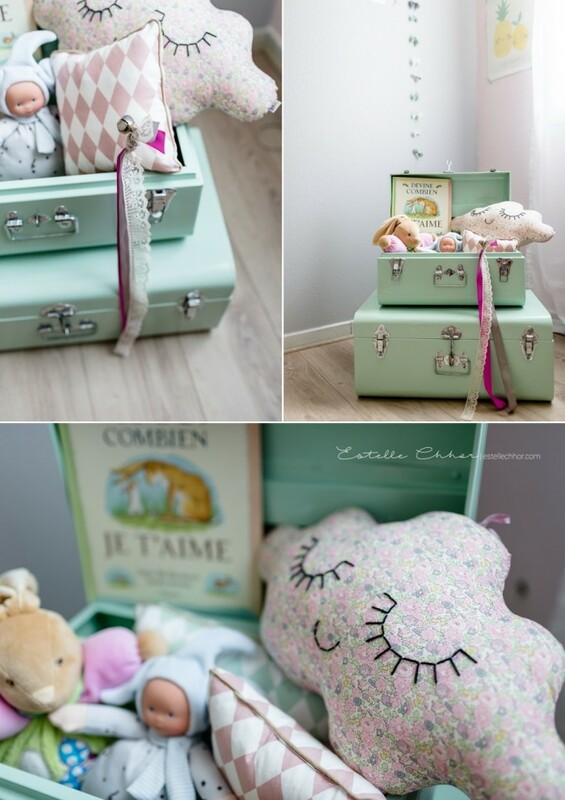 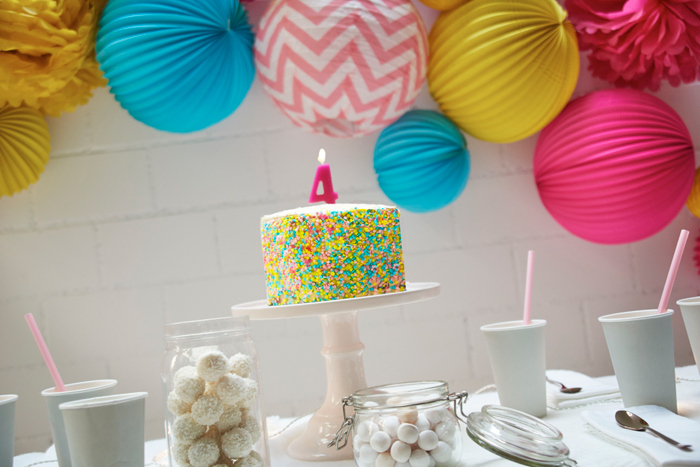 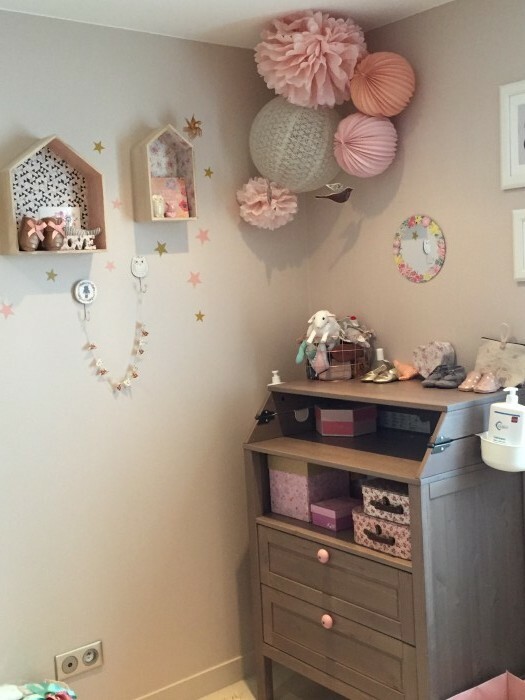 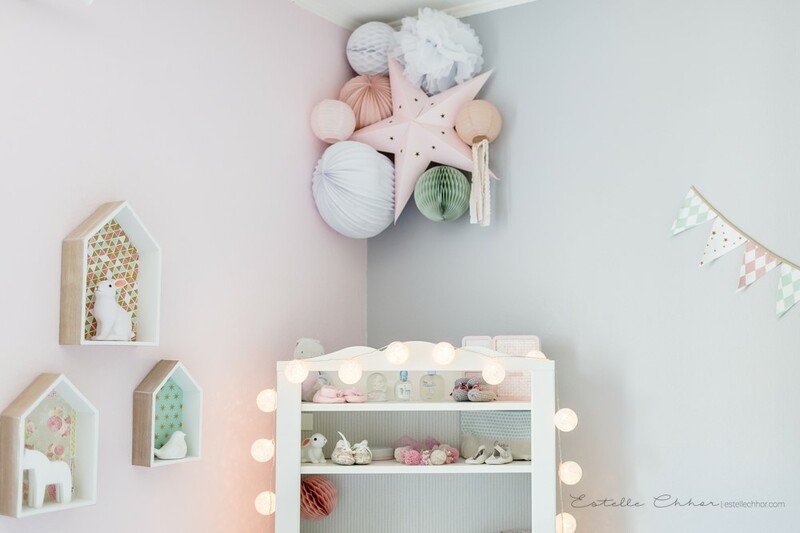 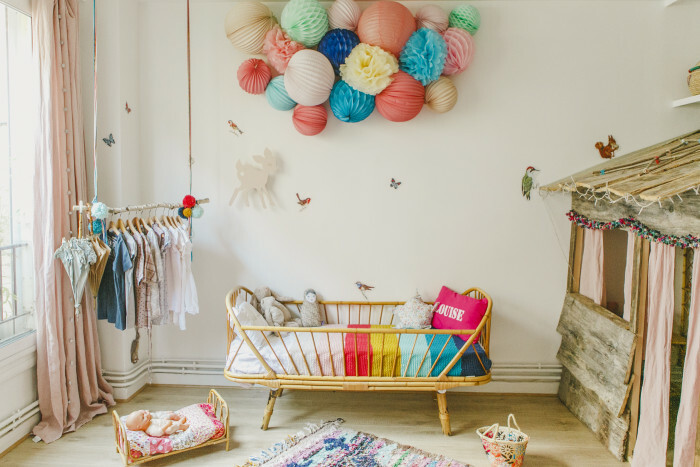 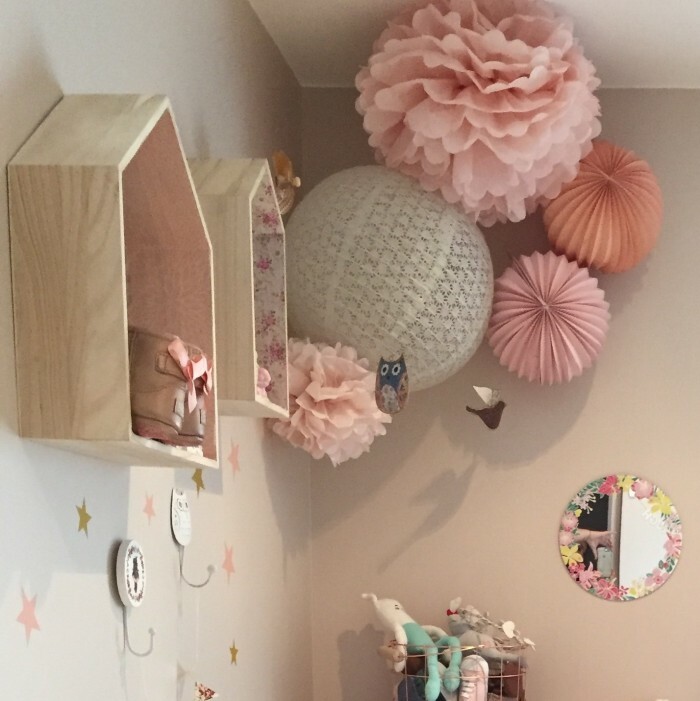 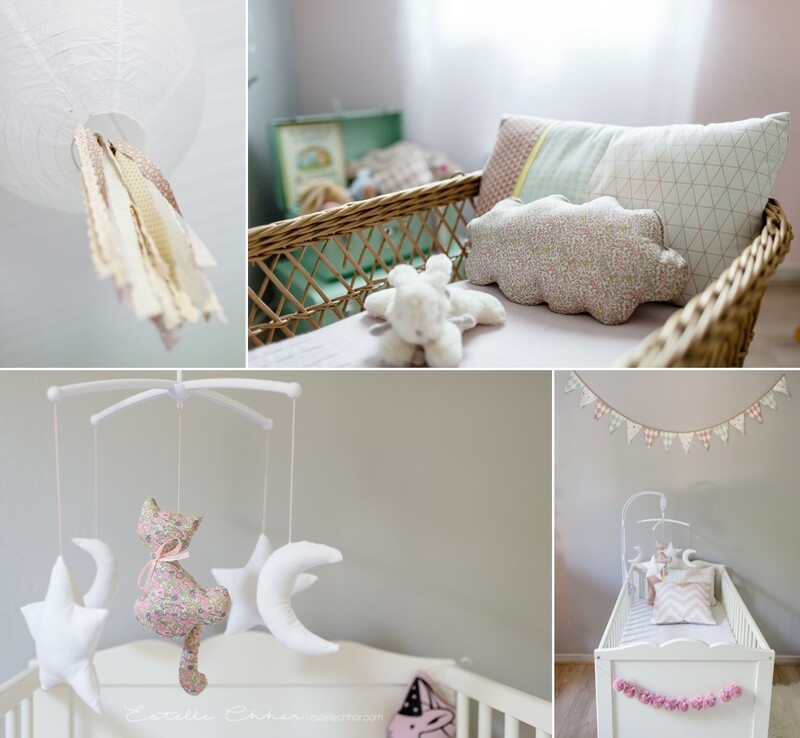 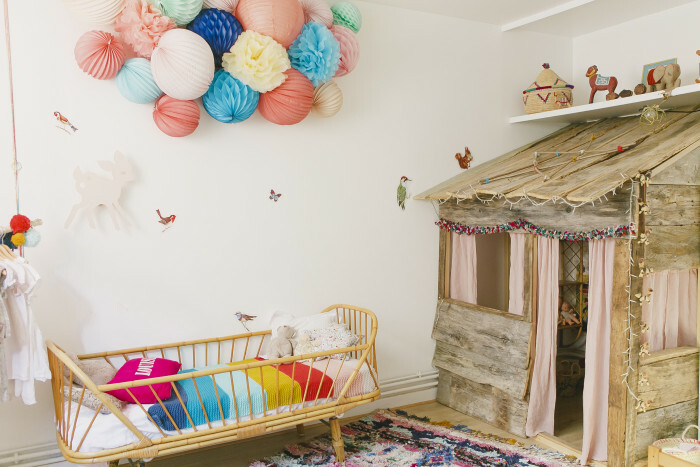 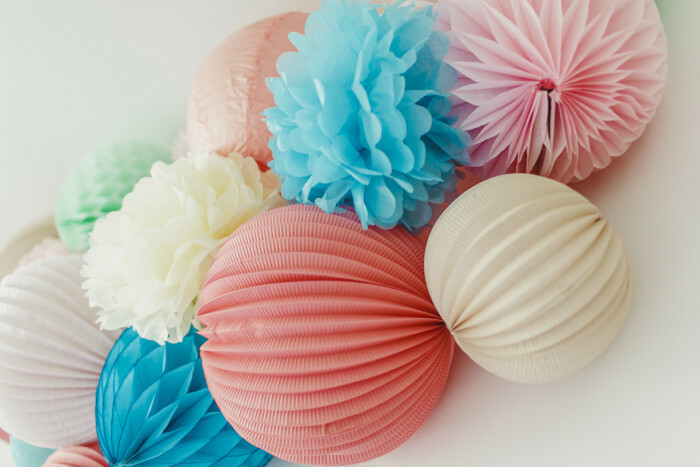 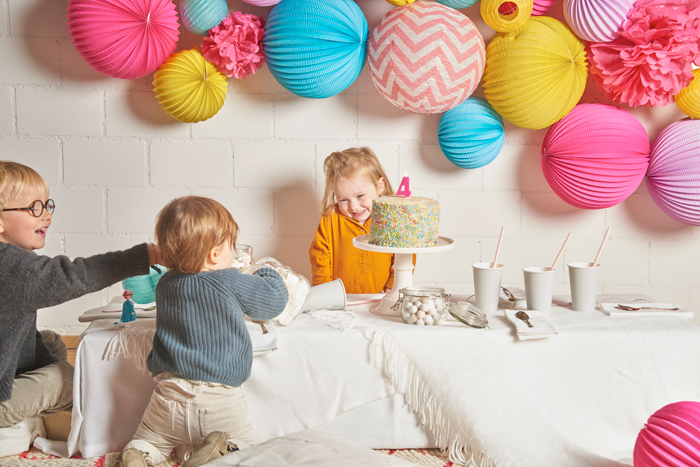 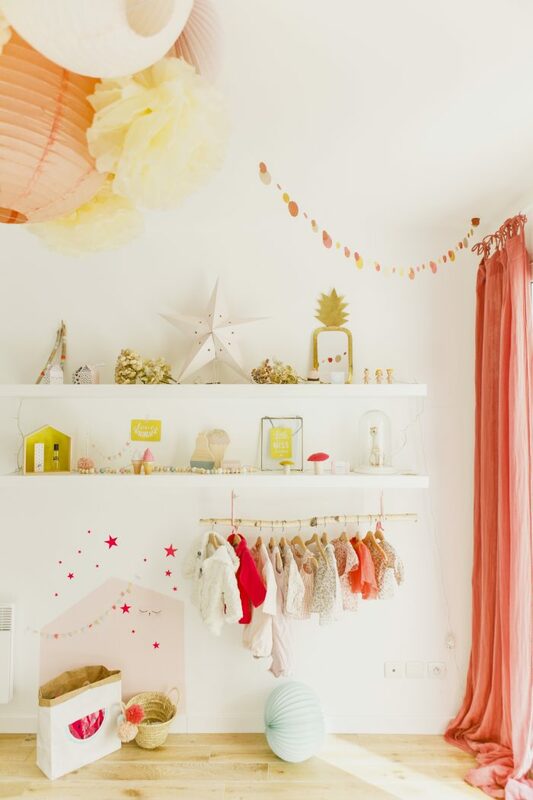 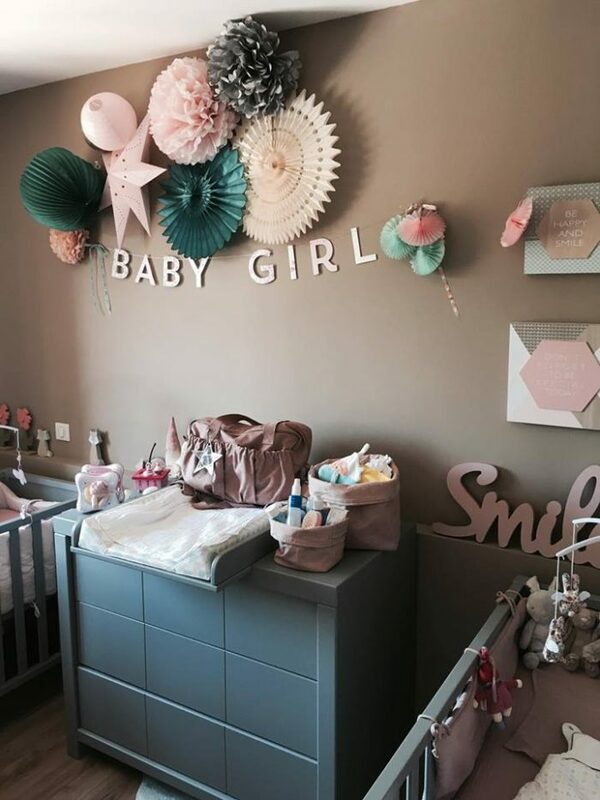 Baby Anna’s little world is a paradise of pastel hues. 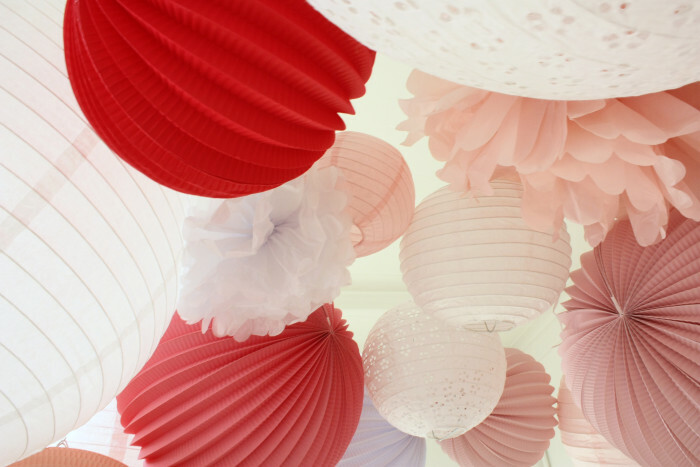 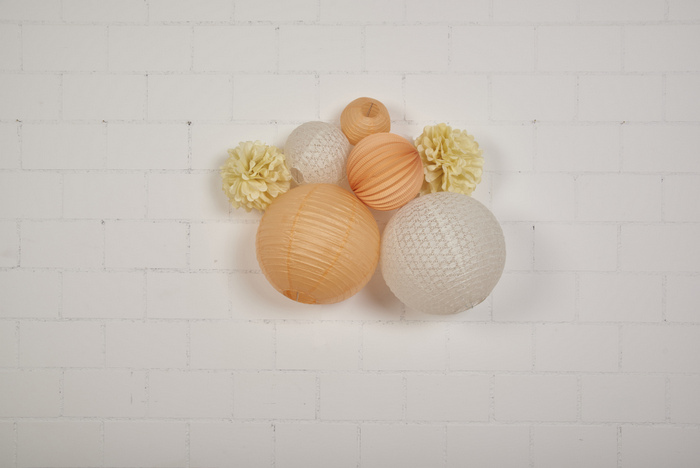 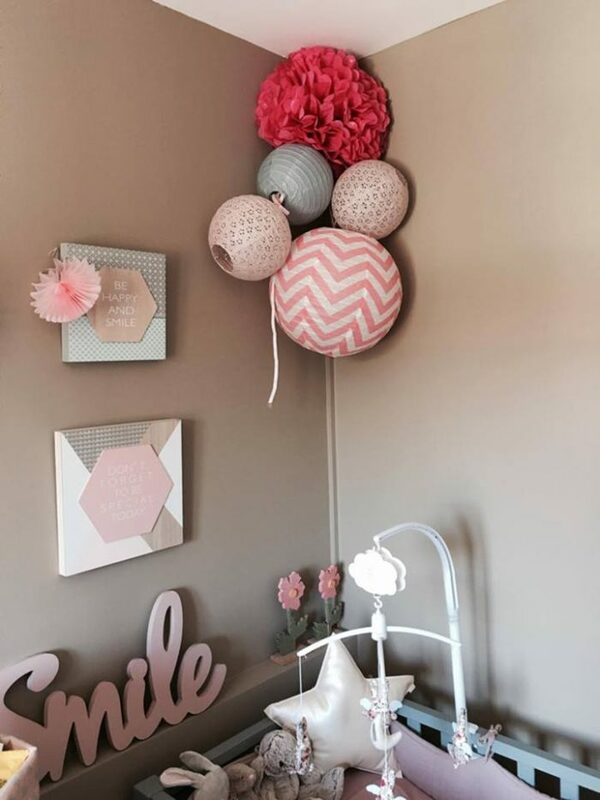 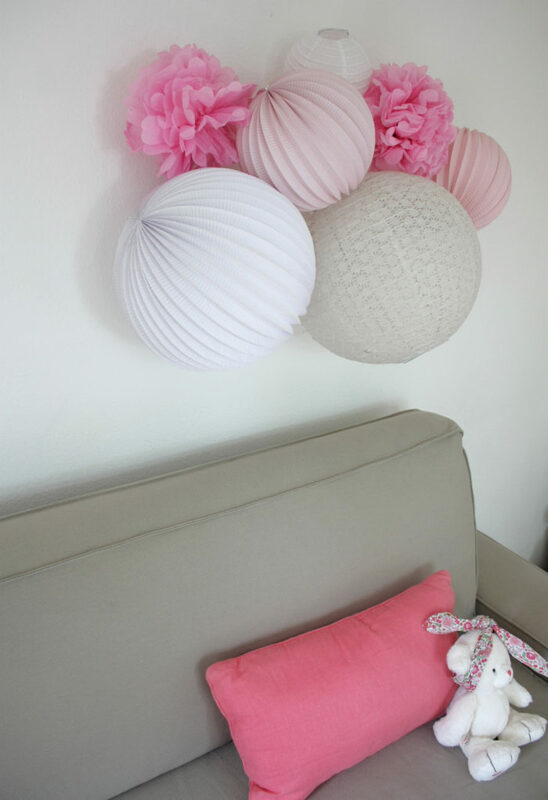 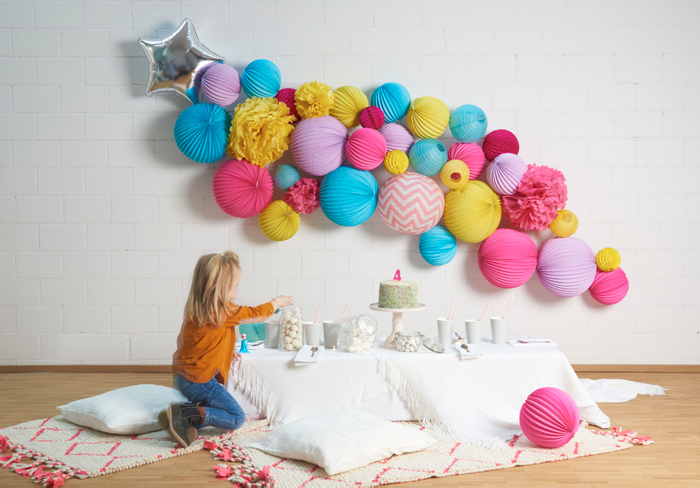 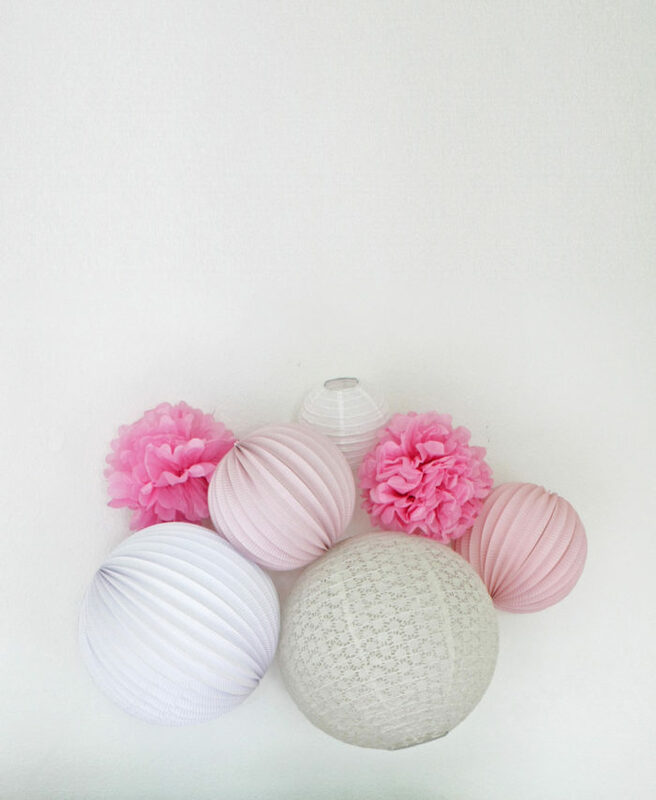 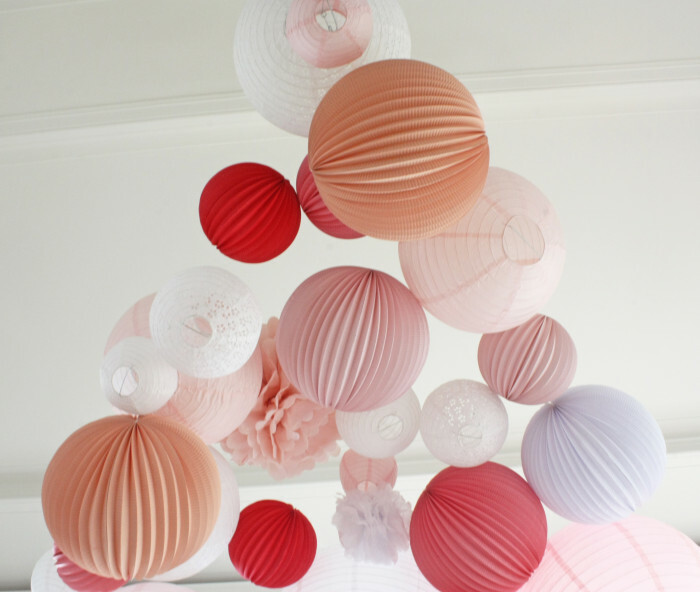 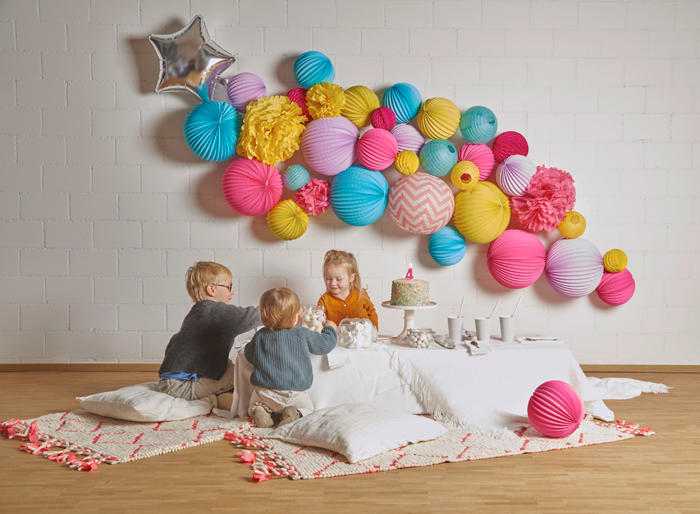 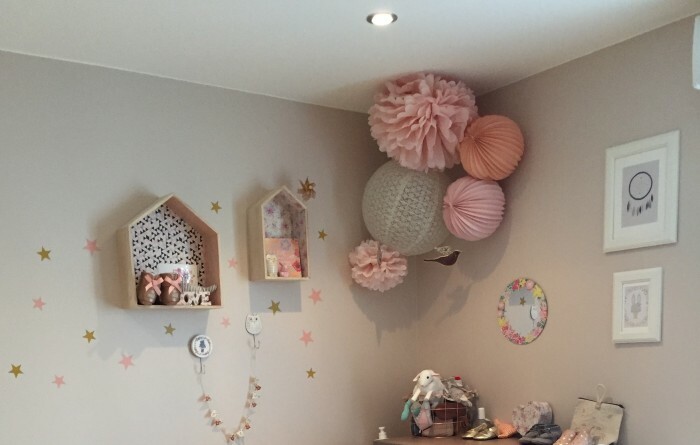 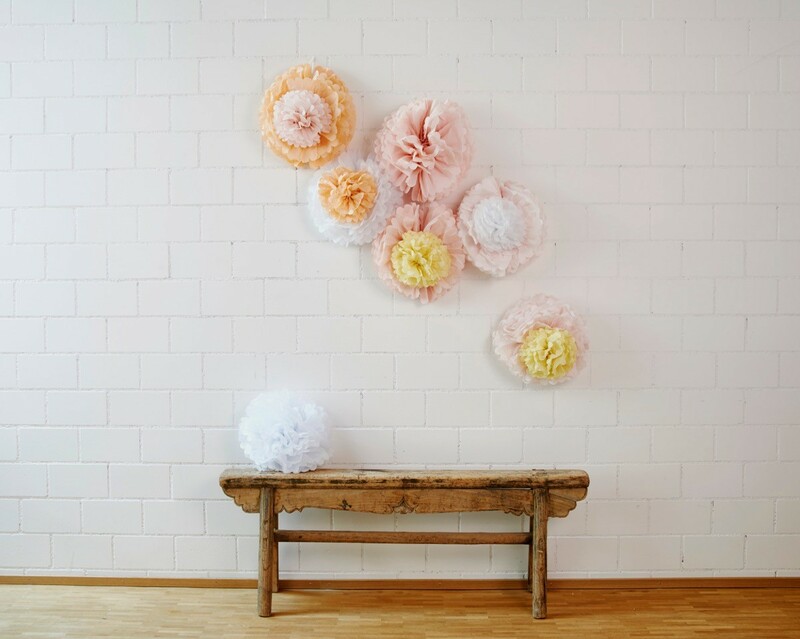 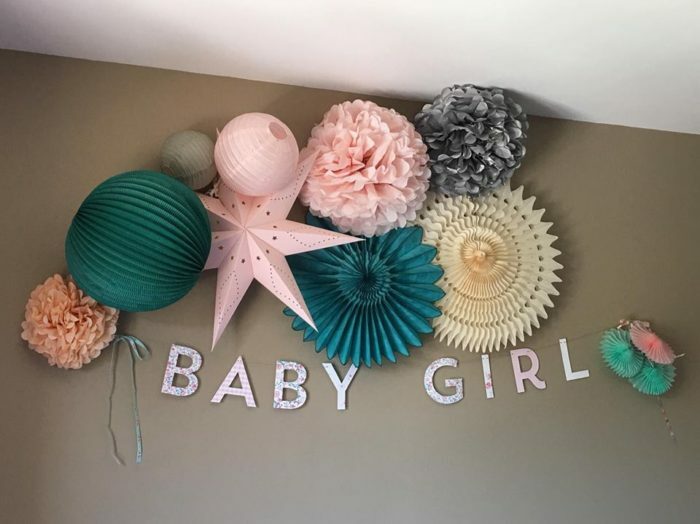 Paper lanterns, star lantern, pompoms, honeycomb balls and accordion lanterns grouped together and hung in a corner of the room. 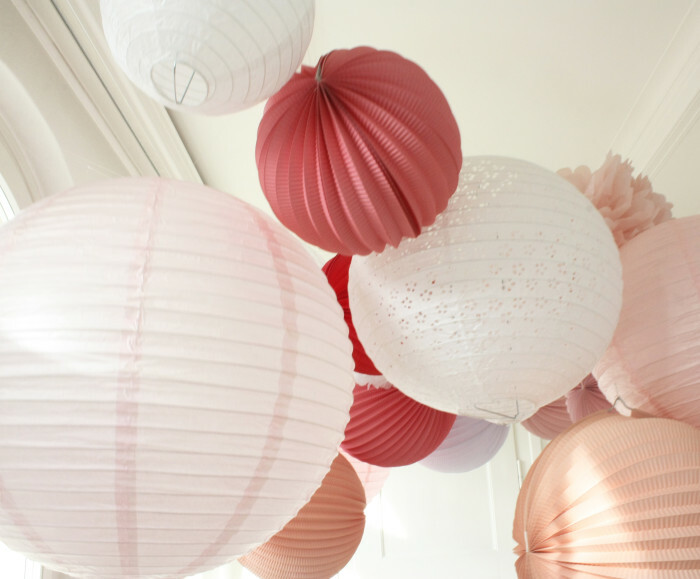 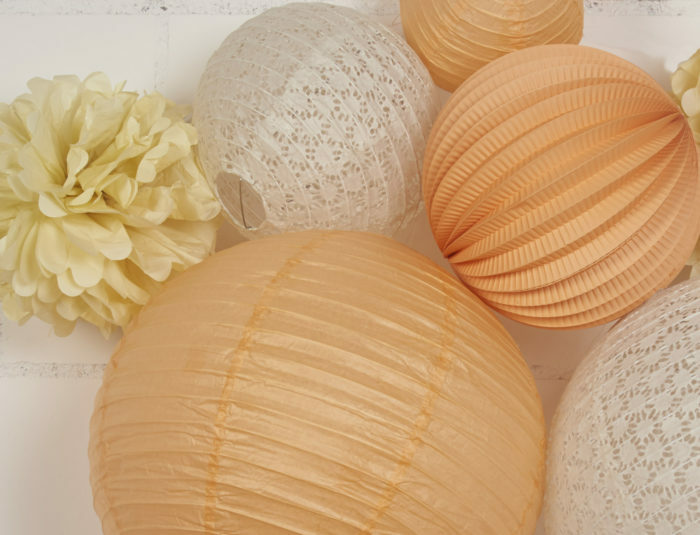 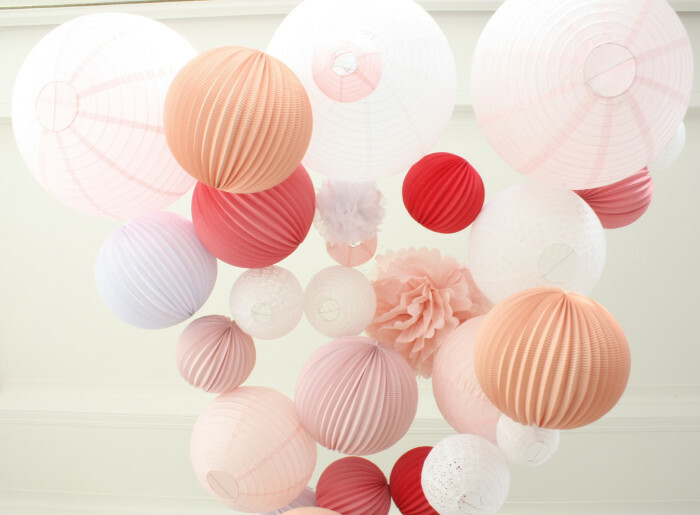 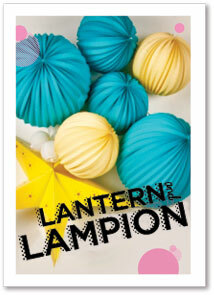 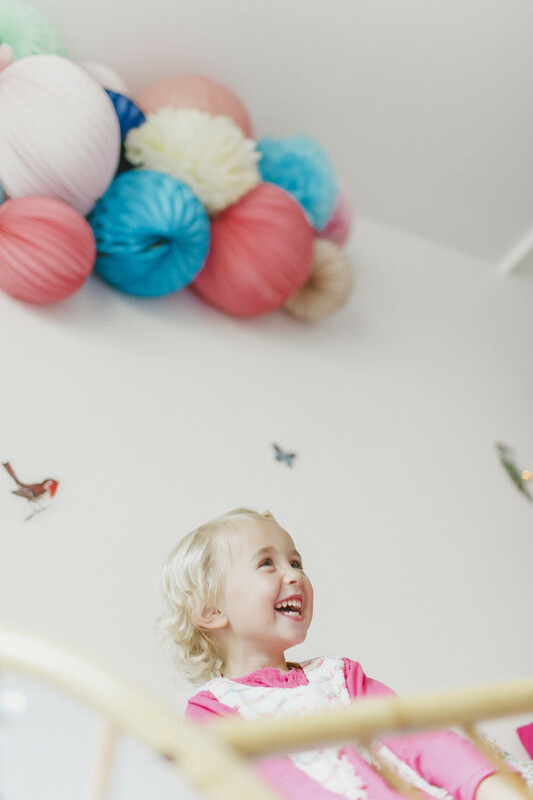 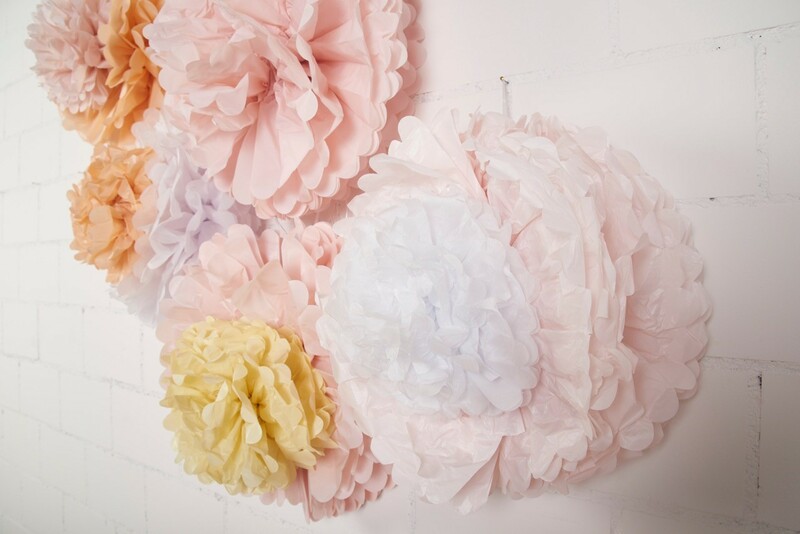 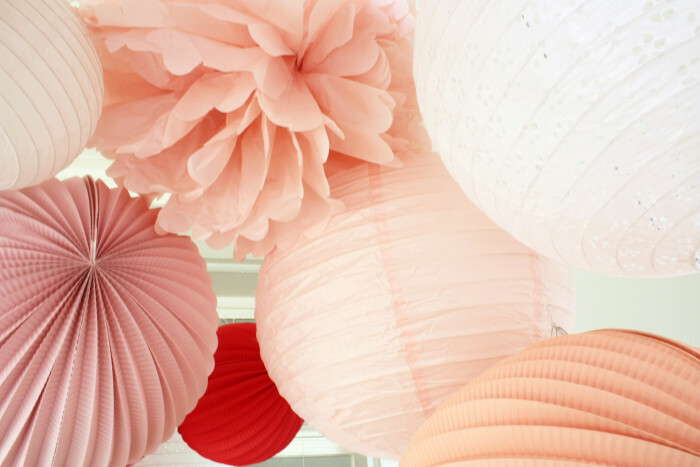 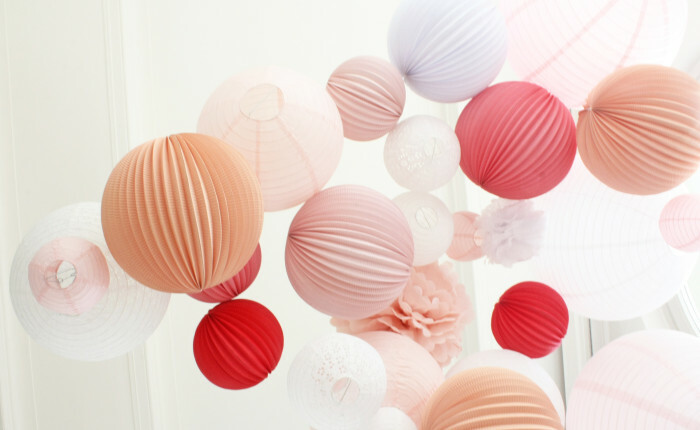 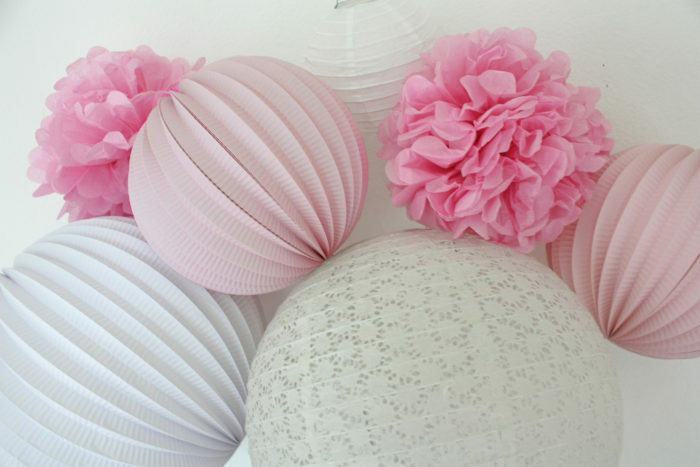 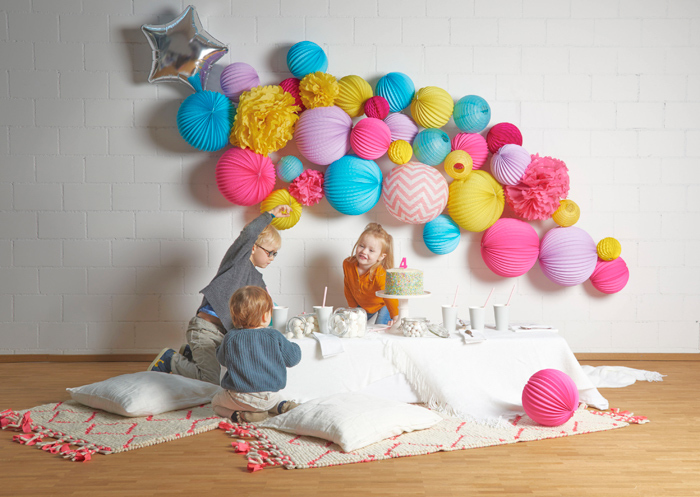 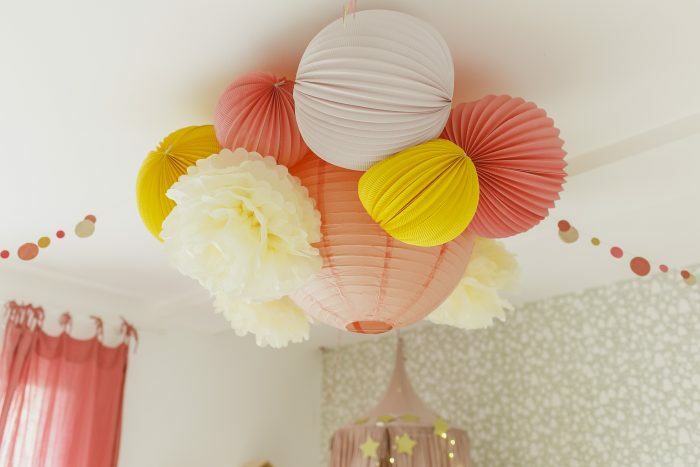 Most of the time, a simple picture hook is enough to hang a cluster of paper lanterns. 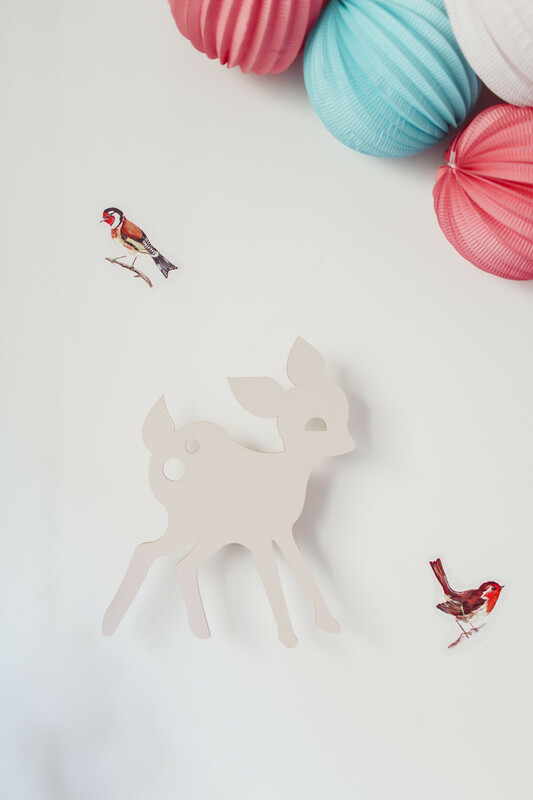 You can also find online self-adhesive hooks from the TESA brand, that we think quite convenient if you don’t want to leave marks on your wall. 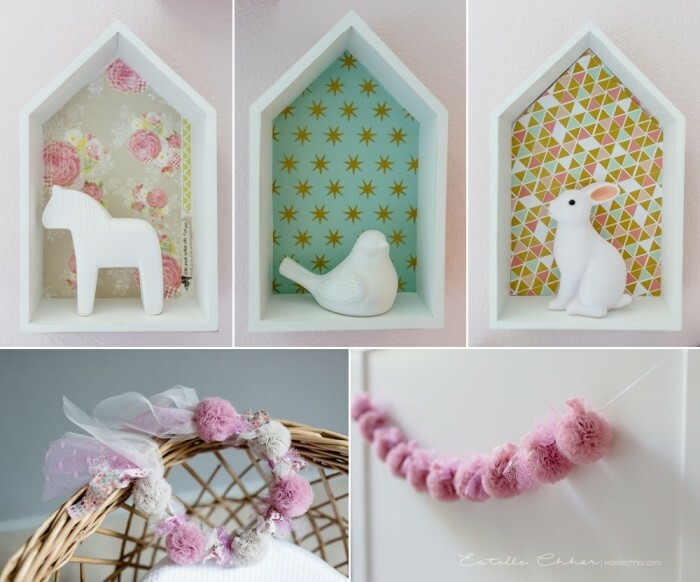 Thanks to the talented Estelle Chhor for these beautiful pictures!